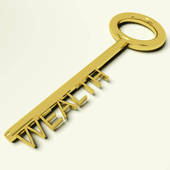 Your financial situation is a product of your application of the amazing creative power contained in your thoughts. You manifest the economic conditions you think about. In other words, your material affluence or financial struggle is a reflection of the thoughts you have been thinking. Your thoughts are your links with material supply. You apply thought's phenomenal manifestation power to produce what you anticipate, whether you anticipate financial triumph or financial disappointment. The more economical you are in your expenditures of thought's manifestation power, the more financially successful you can be. Individuals squander thought's creative power, and thereby slow down their wealth manifestation process, by ruminating about trivial matters (like what their neighbor is up to). Worrying about money problems is a form of negative thinking � or fear-based mentalizing � that proves to be the most costly waste of mind-power, as it turns our thought-power against us. For instance, while you worry about a lack of money, a loss of money, or any form of financial failure, you produce the financial difficulty you ponder. To take charge of your financial future and build wealth, take charge of your thoughts by deliberately building up mental visions of your wealth and success. Increase the potency of your money manifestation power by building mental visions that are as realistic as possible in which you see and feel yourself presently having the experience of the wealth you want. Make your financial success visions as clear, detailed and substantial as possible. Try to feel all the wonderful feelings you associate with having the wealth you desire. Try to see yourself distinctly in that mental scene of material abundance. Imagine how you would feel if it was really happening now. Building a substantial mental vision is like building a physical structure. You can progress step by step, over time, as you work at it. As you exercise your power to build your wealthy vision, your vision-power will develop and your visualization will grow more realistic and impactful, which means it will pack more �money manifestation wallop�. Increase the potency of mental manifesting further by imagining and trusting (to the best of your ability) that thinking of yourself succeeding financially makes it inevitable that you will do so. Sincerely deciding to be as wealthy as you want to be further steps up the creation-power of thought by linking it with your deepest power: your power of intention. 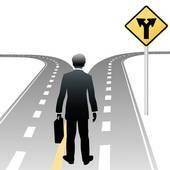 Commitment represents the emotional dimension of decision-making. The more deeply and passionately you feel genuinely committed to manifesting the money you desire, the more wealth manifestation power you command. Pay close attention to your thinking throughout all of your waking hours to keep your mental power focused on accomplishing your financial objectives. Notice the instant you begin wasting your mental power in trivial or negative thinking so you can redirect and better harness the massive power of thought as soon as possible. Each time you take charge of your thinking by diverting it from wasteful or negative channels and directing it back into envisioning your financial success, you take charge of your financial destiny. Motivate your workforce, inspire your association, uplift your meeting or conference with enlightening and energizing success wisdom.... Schedule Bob Lancer for a Great Motivational Team Building Seminar or Inspiring Speaker Program.